They're the interior spaces where the most value can be added during a sale, so they need to look their best. If you're planning to put your house on the market, you likely want to maximize your very limited time and extra cash. That's why Trulia suggests zeroing in on what we call Buyer Hot Spots: the 'make it or break it' focal points of a home. As a seller with a tight time line (and budget), you'll want focus on these rooms first. 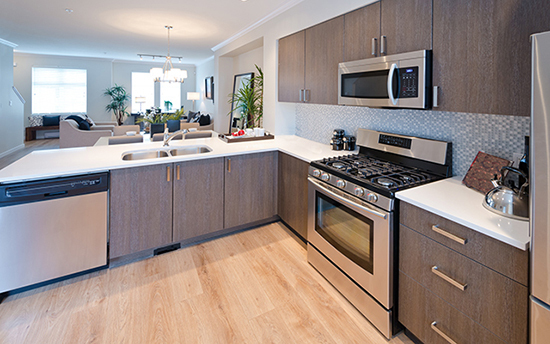 The two most closely inspected and anticipated rooms of a house are the kitchen and master bathroom. They're the interior spaces where the most value can be added during a sale, so they need to look their best. A well-appointed kitchen will dramatically increase the value of your home, so really spice up this spot to grab buyer attention. The same holds true for the bathrooms -- especially the master -- which will charm open house-goers with modern upgrades like dual vanities and soaking tubs. Before you start planning any interior upgrades, consider your neighborhood -- and more importantly, your target buyer. If most of the homes nearby have tidy, neat kitchens with Formica or tile countertops, then you should, too. If granite and flagstone seems to be the local flavor, hopefully yours will be similar, since that's what local buyers are after. Establishing the quality level of comparable homes is also crucial to saving you thousands. It'll help you identify when to spend and when not to go overboard on unnecessary amenities. A kitchen upgrade can range from a one weekend, low-budget brush up (think paint job and installing new hardware) to a full-blown overhaul (with tens of thousands spent for granite countertops and luxury appliances). You want to make your home look as fantastic as possible without wasting money, over-investing, and ultimately creating a space that's out of place with the rest of the houses in the neighborhood. Even if your kitchen is looking very tired, don't throw out the baby with the bathwater. Keep the main elements, and simply improve what you can using a cost-effective, low-labor strategy. Resurface or repaint cabinet doors, replace cabinet hardware, install a new faucet, upgrade the appliances, upgrade the lighting with new fixtures, and put on a fresh coat of paint. Also, the least expensive but most important tip -- rid the countertops of all your stuff! 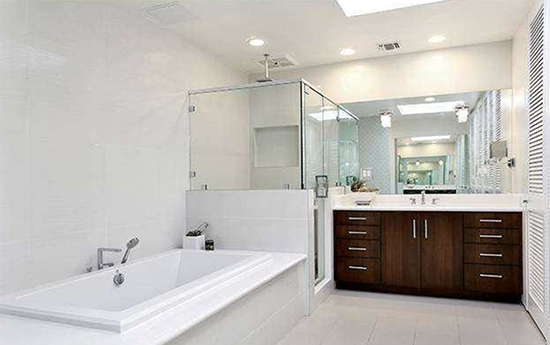 In order of buyer-grabbing importance, the master bath is a close second. It's the most challenging room in the house to upgrade because doing so requires the skills of many different tradesmen. But, on the positive side, there are several little tricks that can help create an inviting look that tugs at buyers' heartstrings and evokes that "Oh Honey, I love it!" reaction. When time and money are running out, and you need to get the house on the market, the key to doing a bathroom upgrade is, again, making the most of what you've got. Save as much of the existing bath as you can. Then, a quick switch of the sinks and faucets, new low-flow toilets and shower heads, and upgraded lighting, mirrors, towel racks and storage make for an entirely refreshed look. And for goodness sakes, make sure to clean the tile and grout, and organize the medicine cabinets (because buyers will open them). ALL: What was the room that was most important to you when you bought or rent your last home or apartment?